Welcome back to Provocative History! We'll get back to Charles in just a bit, but first I want to talk about names for a bit. The hawk-eyed among you will have noted that I've been referring to Charlemagne as just Charles. 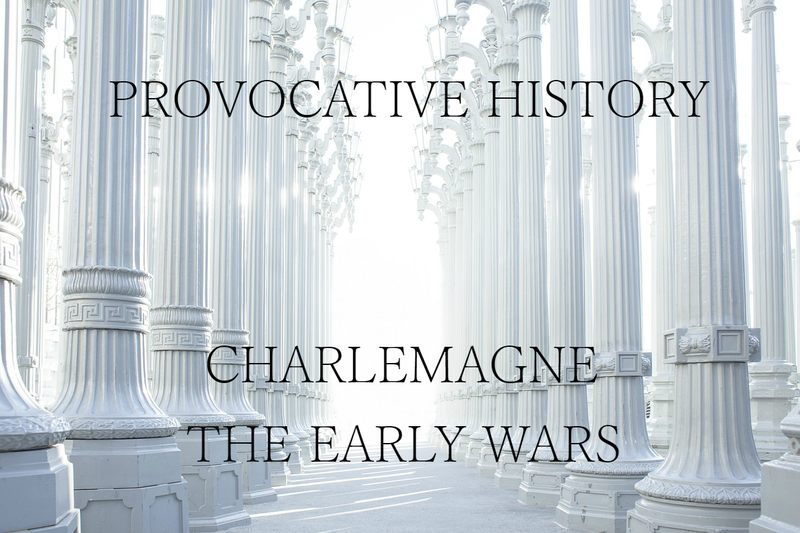 You see, Charlemagne literally means "Charles the Great." Our young king, however, has not earned his title quite yet. We'll see Charlemagne later in the series. Anyways, that's enough about names for now. Let's wind back a couple years to when Pepin the Short ruled the Franks. You see, because the Lombards were so insistent on fighting the Pope, this war was not the first time they had come to fight the Lombards. Pepin had previously fought against the Lombards in another war at the behest of Pope Stephen II. In that war, the Frankish Council put up a great deal of resistance to fighting them. Pepin went only after a great struggle. Charles expected to find similar resistance, and so approached the Council differently. Upon dramatically entering the room (full cloak sweep and all), Charles stood before the Franks and swore on the bones of St. Peter that he would do everything in his power to defend the Holy See and defeat the Lombards. The Council, moved by his want, offered little resistance. First, however, Charles had to deal with the enemies he fought as an early adult. Now that he ruled both North and South of the Frankish Kingdom, he needed to deal with those Aquitanians. Though Charles's dad succeeded in making Hunold of Aquitaine bend the knee, Hunold was a wily man. Throughout his lifetime, he revolted no less than three times against Charles's family. Charles had had enough. His armies marched South and Hunold's armies crumbled faster than he could set them against Charles. These were the veterans of the campaigns conducted by Pepin and Charles Martel; against these, there was no fight. Hunold surrendered, retired to Gascony, where he was immediately followed by Charles who demanded that the Duke of Gascony give Hunold into his hands. There would be no more falling into his wily schemes. Hunold became a monk, and retired to Rome, where he was promptly slaughtered by the Lombards. Finally, Charles could turn to Italy. The Frankish Armies, barely tired from the war against Hunold, stormed through the Alps into the Italies. That's right, Hannibal and Napoleon weren't the only conquerors to climb those treacherous mountains. Desiderius, realizing his mistake, scurried his soldiers up north as fast as he could to defend his country. They mounted the walls of Pavia, their capital, and awaited the arrival of the Franks. The arrival of the Franks was like an avalanche. Boots crashed against the verdant landscape of Northern Italy like pockets of snow. Horses thundered down hills creating the cacophony of a landslide. The Lombards trembled in fear. Who could stand against such mighty men? Charles settled in to wait out the siege. The city slowly lost its food and water supplies. Skirmishes broke out between the garrison and the attackers, further increasing the loss of defender lives. Charles kicked back and relaxed. Nothing could stop him now. Weeks kept ticking by; the defenders should have surrendered long ago. What was going on? The Lombards held out hope in the form of Desiderius' son, Adalgis. Another obstacle to clear. No matter, Charles had his generals maneuver the tactical situation. They created bait and laid a trap. Adalgis spotted the weak point in the enemy's siege lines and brashly ordered an attack on the weak point. Who could disobey their hero? The Lombards charged forward. Perfect. The weak part of the line fought for a time and then imitated a retreat backwards. The exultant victors followed in hot pursuit. Soon, they realized they had left the castle too far behind. They began to retreat back to Pavia, only to find they were blocked on all sides by Frankish troops. It was a slaughter, and Adalgis was captured alive. Charles allowed him to live, but only on the condition that he could never return to the Italies if he cared for his life. With the spirit of the Lombards crushed, Desiderius surrendered at last. Charles, surprisingly, gave him the same treatment as his son. His major obstacle out of the way, he forced Desiderius to return land to the Pope, quickly dealt with a rebellion in eastern Italy, and then crowned his son, Pepin, King of Italy. It seems that after this war started, there would be no end to warfare for Charles. Around this time the great Saxon Wars began. I'm going to cover these Wars in another post, as they last for over thirty years, throughout the lifetime of Charles. 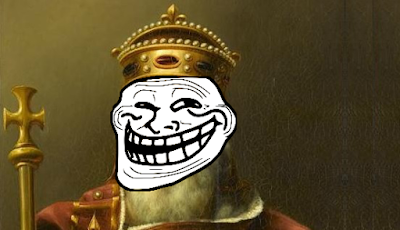 Charles brought his armies back to France. After a short rest, they crossed the mountains between them and Iberia, crossing into the caliphate of Al-Andalus. They were a remarkable kingdom, which I hope to cover in some future series of Provocative History. Right now, however, Charles simply beats the living daylights out of them. All cities and towns he came across surrendered. Tune in next time as we see Charles continue his campaigns in Europe, and receives an unexpected gift. Ciao for now.